You have the desire, the energy, and the skills to beef up the insulation around your house, but the cost of materials has put the job on pause. This was me a few weeks ago. My wife and I were ready to convert our attic into an art studio and office. My thought had been to fill the bays between the rafters with high-R polyisocyanurate rigid board insulation. At my local home center, the 2″ polyiso with laminated foil on both sides was selling for $40 per board. With 32 rafter bays to fill, each one 18″ wide, I would need at least 26 sheets at a cost of $1,040 plus tax. What I really wanted was at least 4″-thick panels, so the job would cost over $2,000 in materials. Polyiso boards are pricier than other types of insulation, because they offer an R-value between 6 and 7 per inch—a big advantage over fiberglass, cellulose, and other rigid board products. With 4″-thick polyiso, I’d have a respectable 24- to 28-R roof. 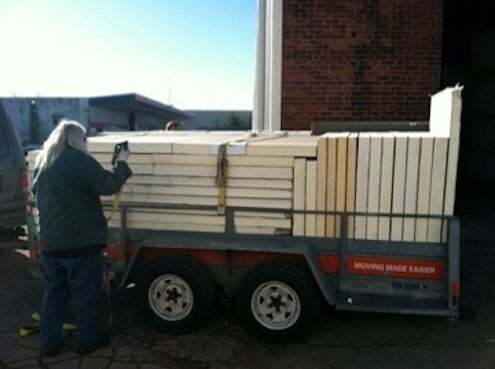 In addition, the boards offer a much better air barrier than fiberglass batts, especially with the joints sealed by caulk or foam for improved performance. Fortunately, I talk through most of my home improvement projects with a knowledgeable co-worker, who recalled seeing an ad for polyiso insulation on Craigslist. I checked it out and sure enough, a guy named Wallie was selling a mix of 3″- and 4″-thick 4′ x 8′ sheets for $24 each. Wallie wouldn’t tell me the brand or where he’d gotten the stuff, but he did invite me to his warehouse to check it all out. The sheets were all wrapped in plastic upon which was printed, in one or two spots, the partially obscured logo of a reputable manufacturer. My guess is that Wallie buys leftovers from large commercial roofing jobs. The laminated facings were not foil, and some of the sheets were irregular in size, but it was twice as much insulation as at the home center for nearly half the cost. I did have to rent a trailer and drive 25 minutes to pick up, but that was a small price to pay for $1,400 in savings. The deal was made even sweeter when Wallie offered me several dinged sheets to compensate for the extra waste I’d generate when cutting up the 4′ x 4’s. A quick survey of offerings in my area shows many Craigslist deals for various kinds of insulation and other types of building materials. 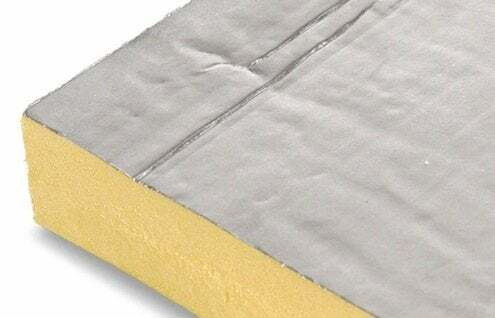 New, in-the-package fiberglass batts sell for 20% to 30% less than in stores. There’s also water heater insulation, foam pipe insulation, shrink film for windows, caulk, and weatherstripping at prices nearing 50% off. In addition, there are great deals to be found on insulated vinyl replacement windows. There are even 120 used solar collectors for hot water systems going for $125 a piece! So the next time prices at the home center seem a little stiff, check out Craigslist and similar sources before paying full price at the home center. You’ll save some money and help keep some stuff out of the local landfill.